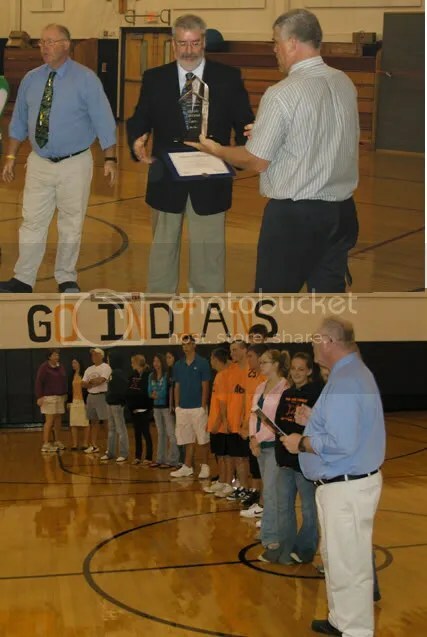 Athletic Director Mr. Rathbun di the formal presentation of the academic award to the coaches, players and administrators before the student body. It was the first time ever a Section 7 Class D team has achieved such an honor. The assembly took place prior to the Boy’s Division Championship Game.